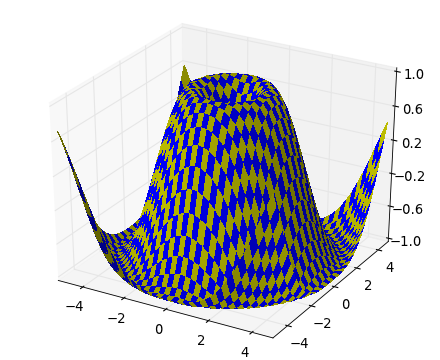 The mplot3d toolkit adds simple 3D plotting capabilities to matplotlib by supplying an axes object that can create a 2D projection of a 3D scene. The resulting graph will have the same look and feel as regular 2D plots. See the mplot3d tutorial for more information on how to use this toolkit. The interactive backends also provide the ability to rotate and zoom the 3D scene. One can rotate the 3D scene by simply clicking-and-dragging the scene. Zooming is done by right-clicking the scene and dragging the mouse up and down. Note that one does not use the zoom button like one would use for regular 2D plots. How is mplot3d different from MayaVi? I don’t like how the 3D plot is laid out, how do I change that? Last updated on Jun 28, 2018. Created using Sphinx 1.7.5. Doc version v2.2.2-101-g15e1eadd0.